Growing up with my German-American grandparents, they were very involved in the different German festivities, especially polka dances. I remember them dressing up before heading to a dance, they loved it. They’ve passed on, my grandfather passing three years to the day that my grandmother passed away. I miss them fondly. Every year when Octoberfest comes around it reminds me of them. I wish they were still here, they would have looooooved to experience Rocktoberfest at Rock City. If only we could turn back the hands of time. If you’ve never been to Octoberfest, they you’re missing out. Below, you can check out all the details you need to experience Rocktoberfest at Rock City yourself. The region’s longest-running Oktoberfest celebration begins Saturday, Oct. 6 through Sunday, Oct. 28 at Rock City Gardens! The 13th annual German-themed harvest festival, Rocktoberfest, offers a variety of entertainment and delicious food from 8:30 a.m. to 5 p.m. every Saturday and Sunday. Rock City’s German heritage comes alive with music from The Wurstbrats, The Musik Meisters and The Best Wurst Band, as well as dance performances and polka lessons for guests! Take a guided tour of the gardens during peak fall foliage at 9 a.m., 12 p.m. or 3 p.m. and learn about the attraction’s founder, Frieda Utermoehlen Carter, and her love of German folklore and fairytales. Stop by the pavilion for specialty German food such as grilled bratwursts, sauerkraut, beer cheese soup, or dine at Café 7 from 11 a.m. to 4 p.m. and have some Weiner Schnitzel or apple crisp with Clumpies vanilla ice cream. Be sure to visit the Fudge Kitchen for seasonal pumpkin spice fudge. Rocktoberfest hosts one-of-a-kind characters to meet along the way including the fall fairy, Ik the Troll King, a mime and Rocky the Elf! Kids also receive an adventure passport from a scarecrow upon entering the park! The passport features activities, coupons and pages for children to collect stamps during their visits throughout the year. A must-see at the festival are Birds of Prey Shows at 11 a.m., 1 p.m., 3 p.m. and 4:30 p.m. Other special offerings include pumpkin painting, interactive caricatures and geode digs! This event has been selected as a Top 20 Event for 2018 by Southeast Tourism Society! Get ready to oompah by visiting www.seerockcity.com/rocktoberfest for more. Rock City has an ongoing partnership with the MaryEllen Locher Scholarship Foundation honoring breast cancer awareness month during October. Several “survivor” products including new mini pink birdhouse ornaments are for sale, with a portion of proceeds benefiting this organization’s scholarship program and MEL’s Club. Visit Rock City’s gift shops or go to www.seerockcity.com/survivor. 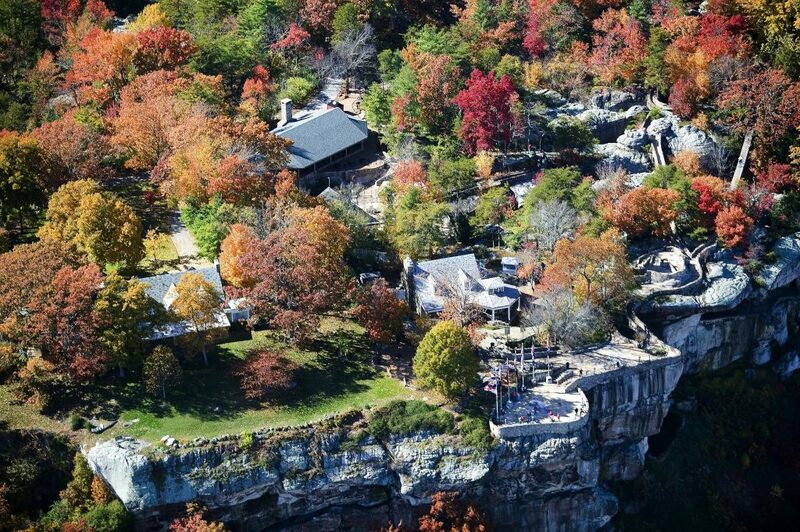 Rock City is one of the South’s most popular natural attractions. 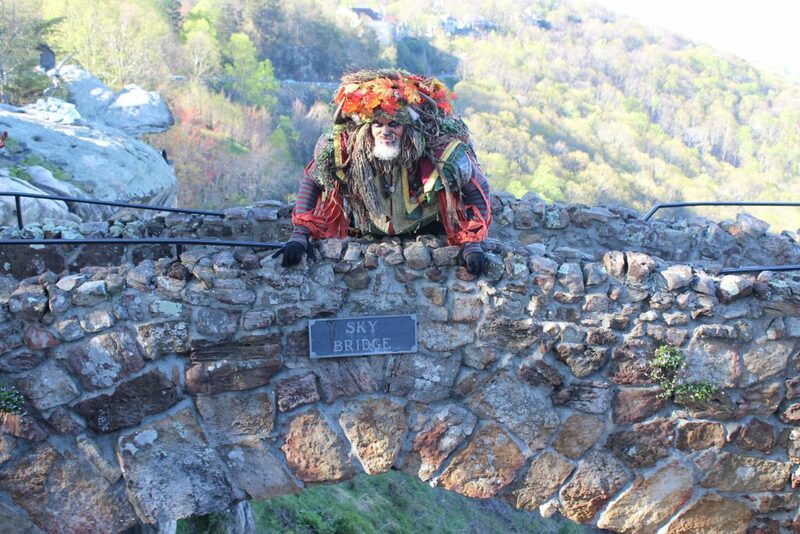 Known for its unique geological and botanical wonders, the enchanted 4,100-foot walking trail is a true marvel of nature featuring massive ancient rock formations, a 140-foot waterfall that cascades down Lookout Mountain and the Swing-A-Long Bridge that spans nearly 200 feet. Rocktoberfest runs every Saturdays and Sundays in October (6th-28th). 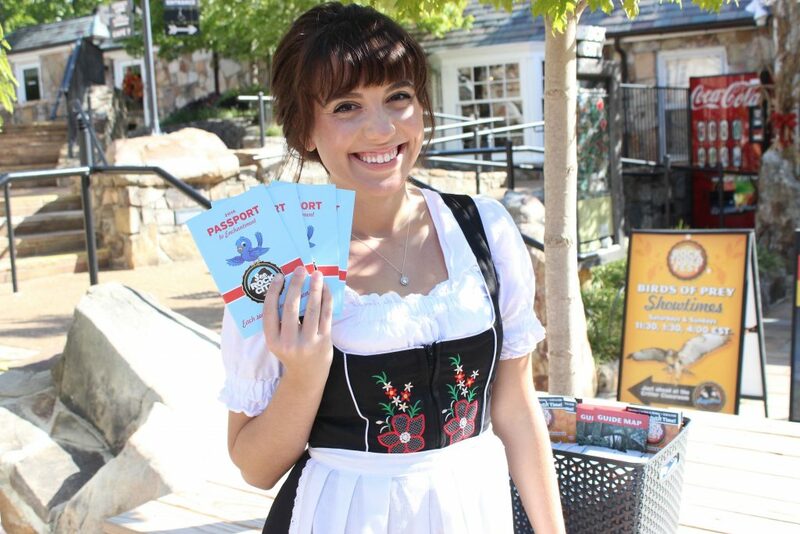 Rocktoberfest hours are from 8:30 a.m. – 5 p.m and tickets are $22.95 adult/$12.95 child (ages 3-12). Want to win a family 4-pack to Rocktoberfest at Rock City?